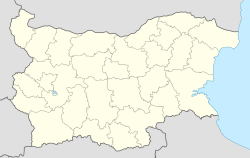 Montana (Bulgarie: Монтана) is a ceety in northwastren Bulgarie, locatit 50 kilometres (31 miles) sooth o the Danube river, 40 kilometres (25 miles) northwast o Vratsa an 30 kilometres (19 miles) east o the Serbie border. It is the admeenistrative centre o Montana Province. This page wis last eeditit on 30 Mairch 2017, at 17:07.